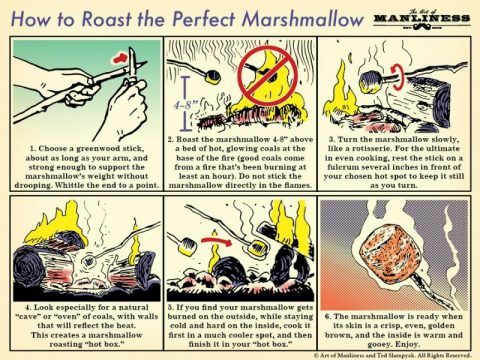 Roasting a marshmallow over a fire is a volatile task. If you’re not careful, you can burn it to a crisp, or get an undercooked center with a charred shell. Thanks Lifehacker for this post teaching us how it’s done.